Prema Powerteam's driver clinched the victory ahead of Riccardo Agostini continuing the challenge started yesterday in qualifying. In race two the driver from Padova will start in front and will try to take his Mygale of JD Motorsport to the first win of the season. 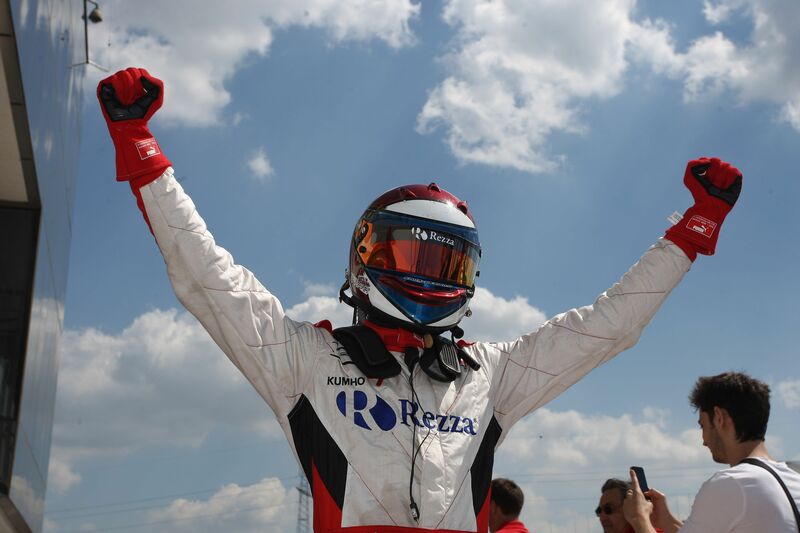 05/05/2012 - Eddie Cheever takes advantage of the absence on Hungaroring's grid of his team mate at Prema Powerteam, Henrique Martins, who was also the classification leader after the first race of the season. The Brazilian had a problem to an axle shaft of his car before the start and had to stop in the pits for three laps before starting his race. Eddie Cheever, after a good start, managed to keep behind his back JD Motorsport's driver from Padova, Riccardo Agostini, on the only Mygale of the championship for the entire race. Third on the podium was the very young Robert Visoiu (Team Ghinzani). The Romanian got out of the second corner of the race in third place when his team mate Gerard Barrabeig and the French Brandon Maisano (Prema Powerteam) had a contact ending their race soon afterwards. Fourth position for BVM's Mario Marasca, as the driver from Rome managed to keep behind his team mate Patric Niederhauser. Sixth was Sergey Sirotkin (Euronova), who, together with the Swiss Niederhauser will complete the front line of Sunday's sprint race. The last three positions of the race went to the Canadian with Italian origins Nicholas Latifi (BVM), Yoshitaka Kuroda (Euronova) and Henrique Martins (Prema Powerteam). After the first race at Hungaroring, the classification is led by Eddie Cheever with 60 points, leading his team mate Henrique Martins who is standing at 45. Third is Brandon Maisano at 34 points, with Riccardo Agostini at 33. The second race of the weekend is scheduled for this afternoon at 18.05 (GMT+2) run on 30' plus a lap. It will be broadcast on Rai Sport 2 tonight at 23.30. The sprint race will follow tomorrow morning at 10.20, with live coverage on Rai Sport 2.